Some of you may remember Monks of Mellonwah from my previous reviews of them. As a band with excellent songwriting and a widespread potential appeal I'm excited too see how their sound will develop in the future. Now they're releasing a new album entitle Ghost Stories which they are planning on putting out over the course of three parts. With every release (and these guys have a lot) you can hear a logical progression in their sound. While some might say putting out four fairly big releases within a year is a poor choice I think it's only done good things for the band. 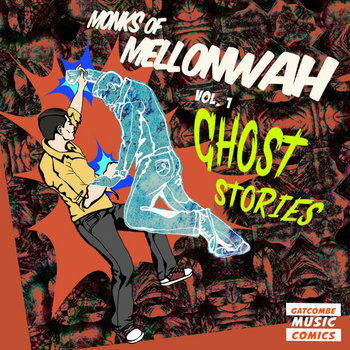 with the first volume of Ghost Stories Monks of Mellonwah have managed to get me excited for the musical mastery that is sure to follow. Already these three songs (And an intro) show a lot of promise and show that the bands capabilities have only grown since May's Sky and the Dark Night. A group who are certainly going to be a hit with the bohemian crowd I'm excited too see what the future holds for these guys.